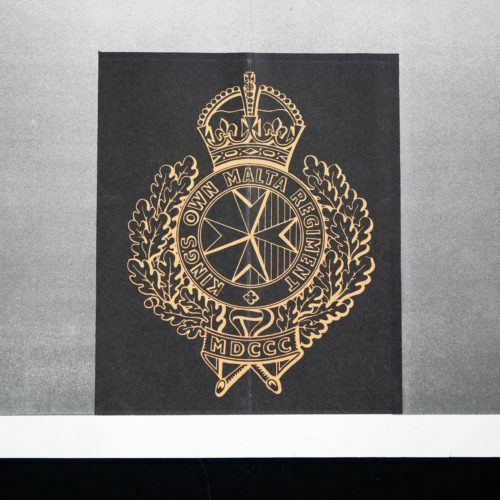 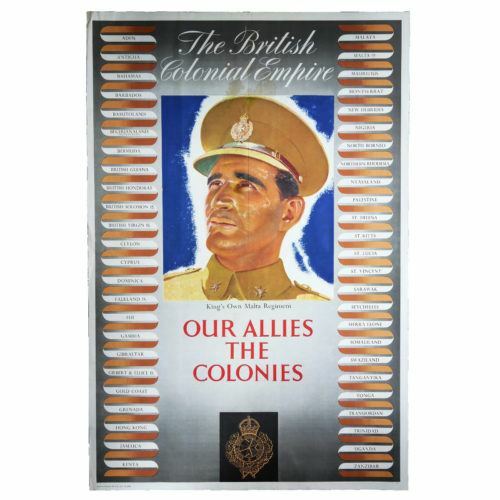 The poster for sale is an extremely scarce recruitment poster for the British Territorial Army. 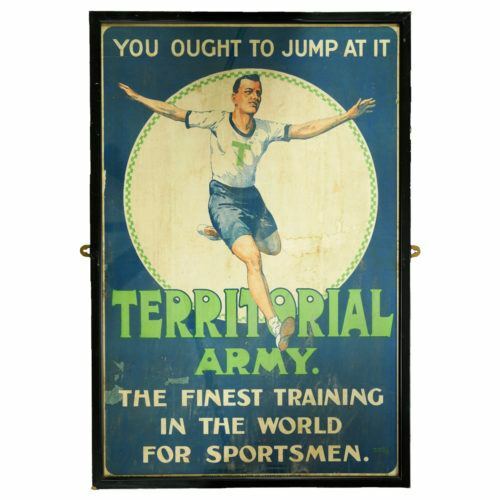 In times of peace it was difficult to recruit men into the Regular and Territorial Army on ideological grounds and rare to find those motivated simply by the desire to serve King and country. 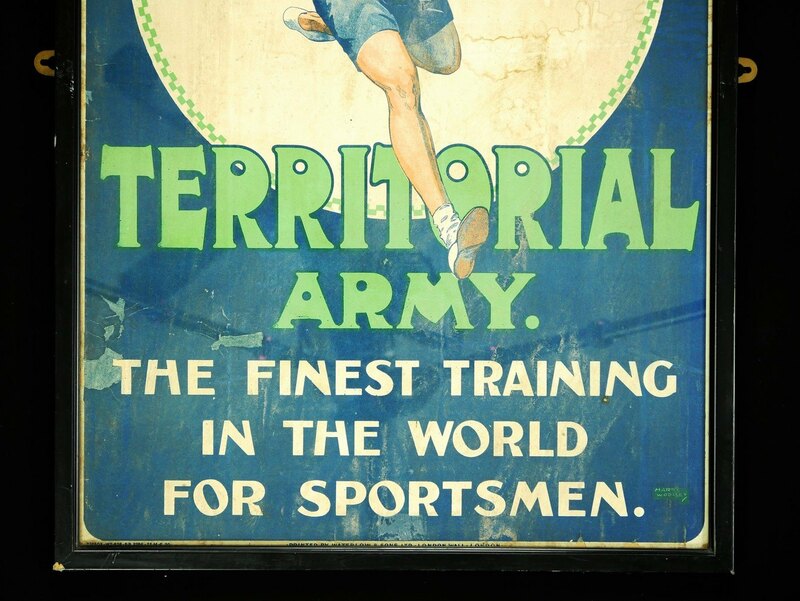 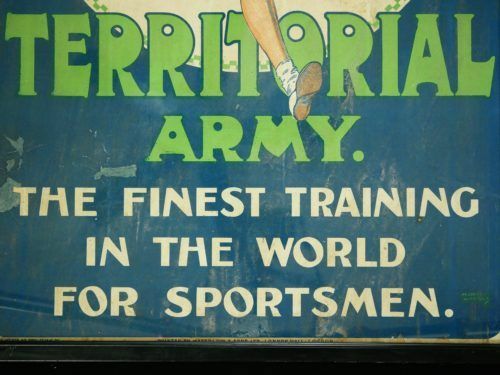 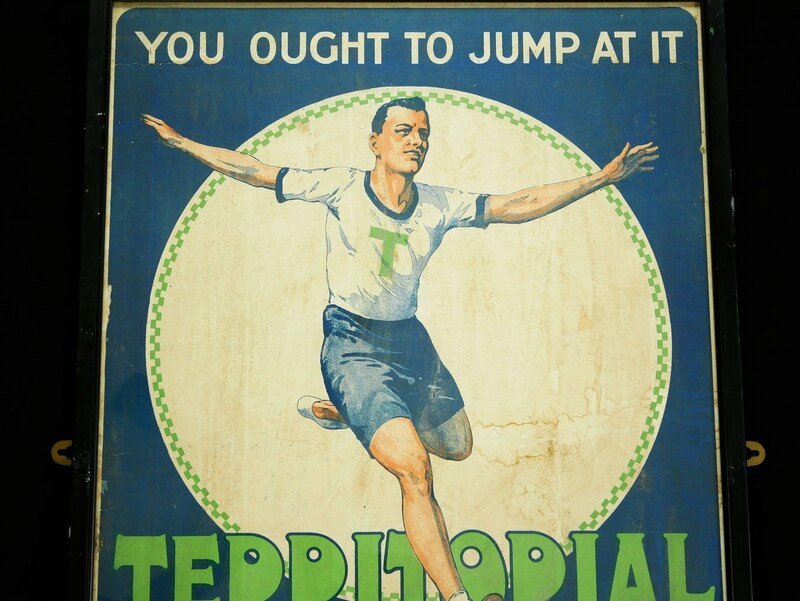 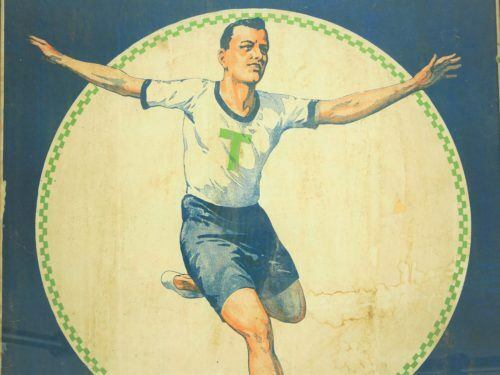 This recruitment poster, therefore, appeals to prospective soldiers’ love of sport and offers them ‘the finest training in the world for sportsmen’. 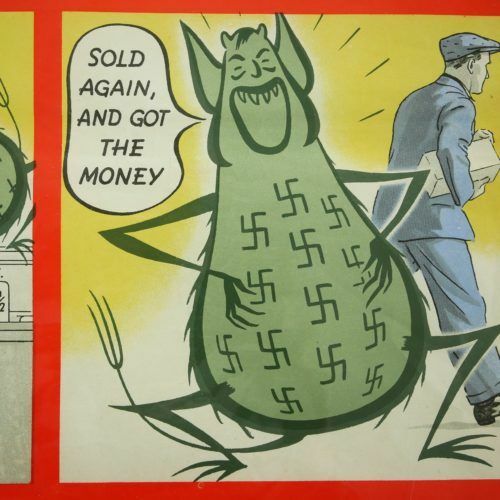 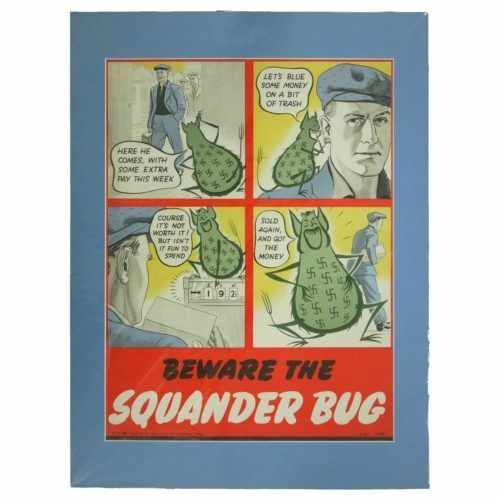 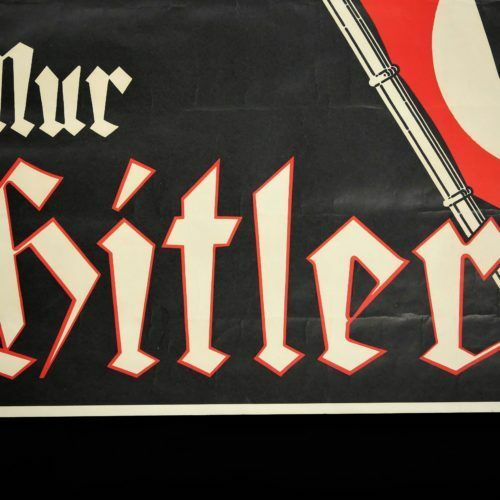 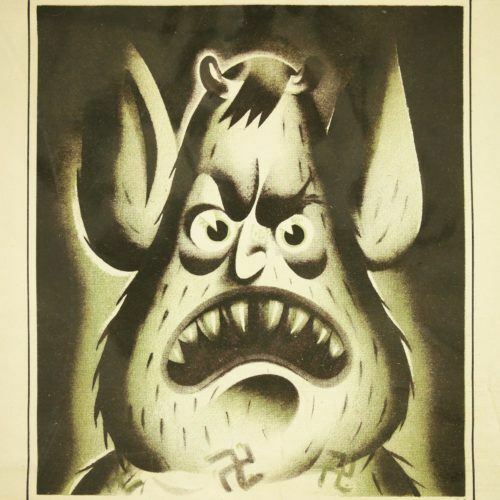 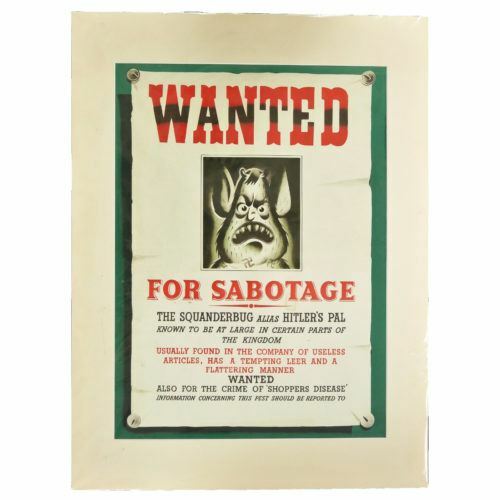 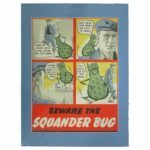 Original survivors of such interwar posters are incredibly rare and very difficult to find. 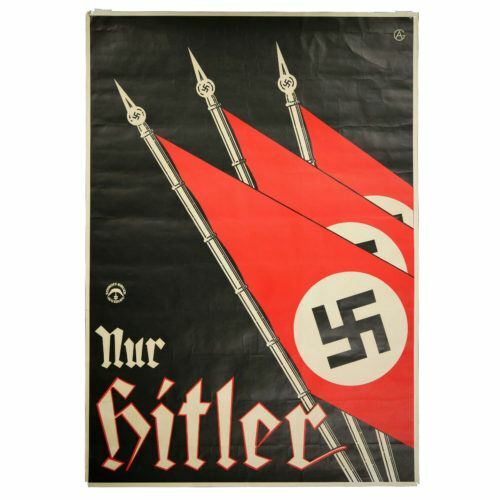 The poster is in reasonable condition considering its considerable age and use. As expected, there are numerous marks, tears, creasing and heavy staining to the print in places. 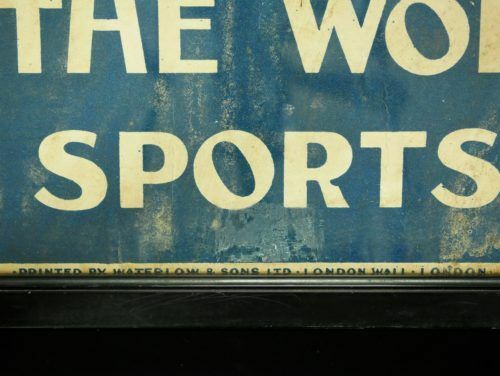 A small triangular part to the centre right of the poster appears to be missing. 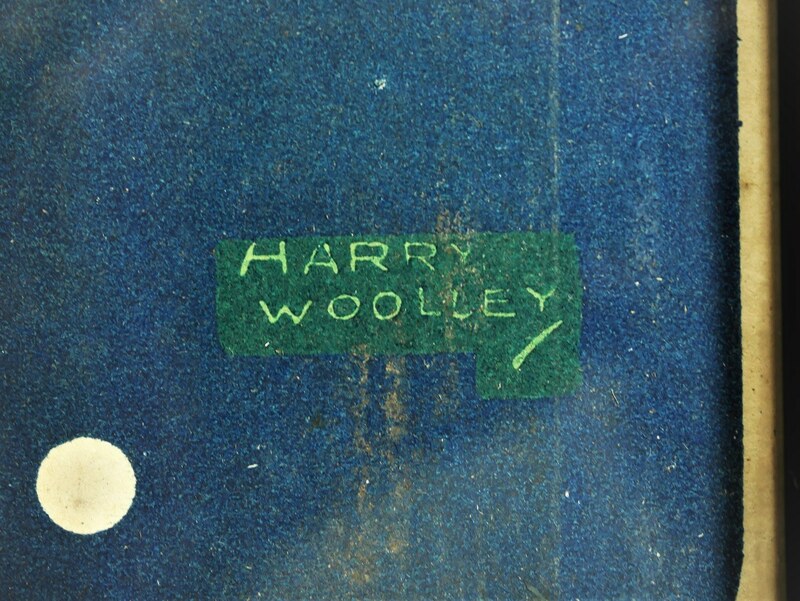 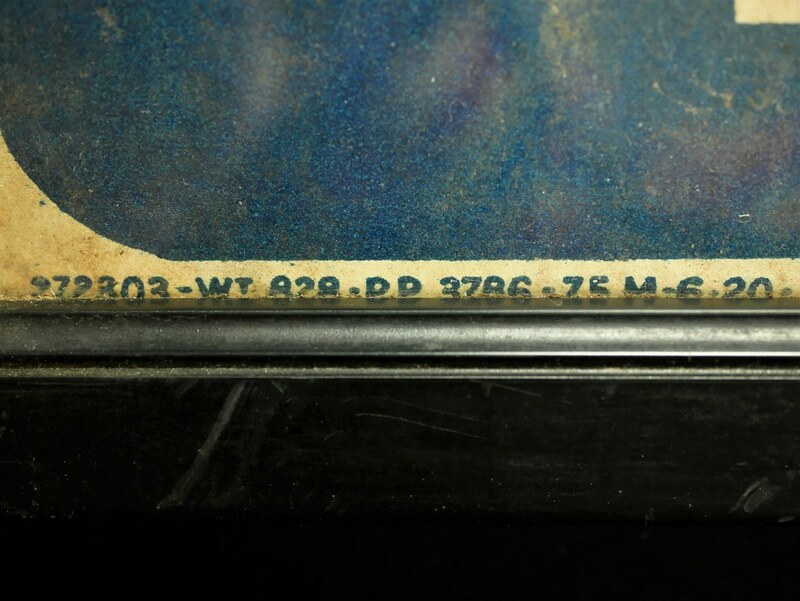 The poster comes framed and glazed with some notable marks and scratches to the frame.